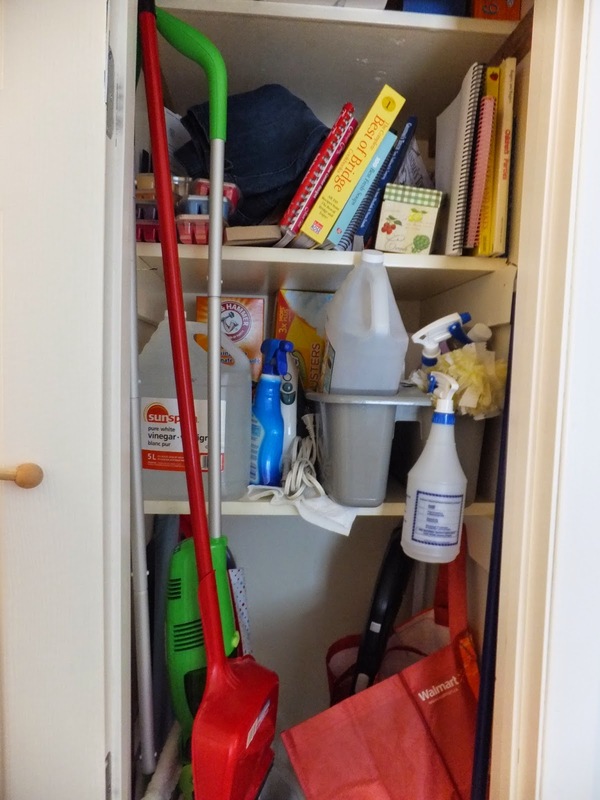 My broom closet has become one of those closets that you open with one hand up to shield you from whatever may fall. It is my minimalism project for the week. 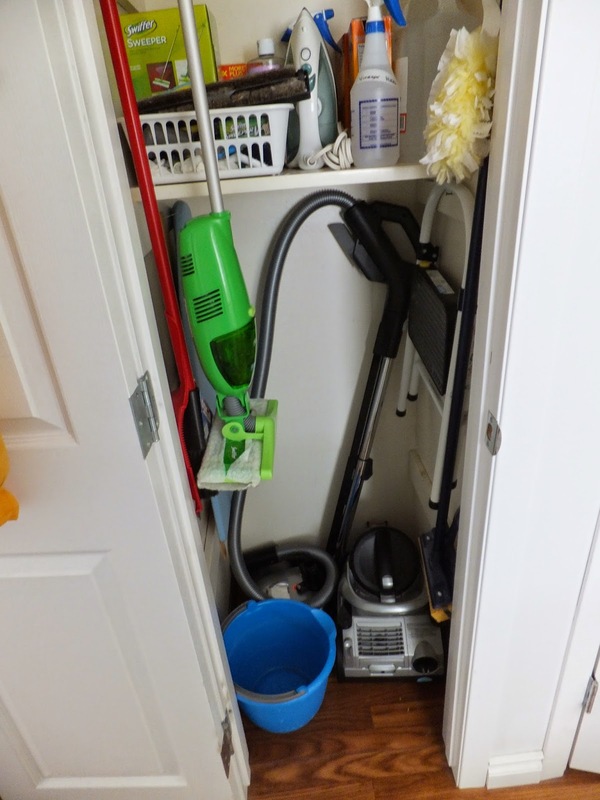 My husband and I radically changed our cleaning products when we were going through infertility. We opted for basic cleaners like baking soda, vinegar and mild detergent. I do keep a hydrogen based cleaner on hand for those moments when I don't trust "just" vinegar (pretty much anything to do with raw chicken or turkey). 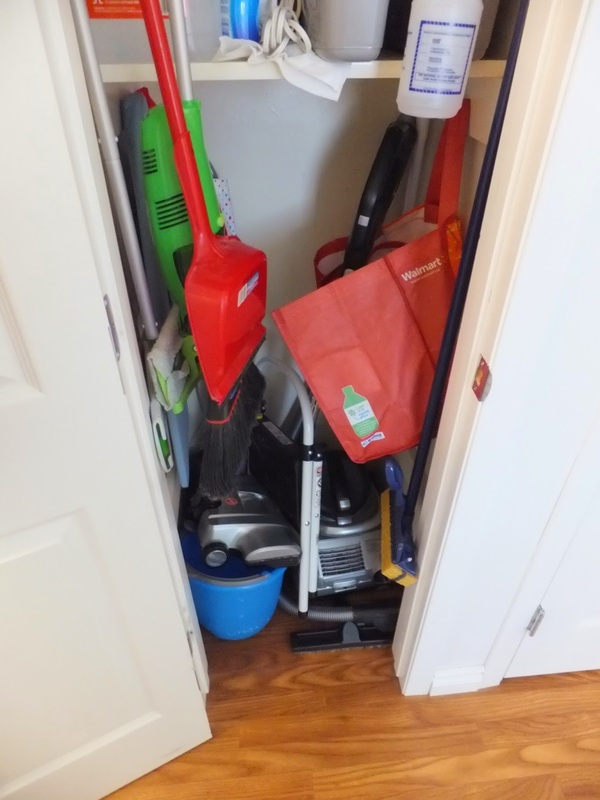 I went through the broom closet and kept only the cleaning implements that we truly use. 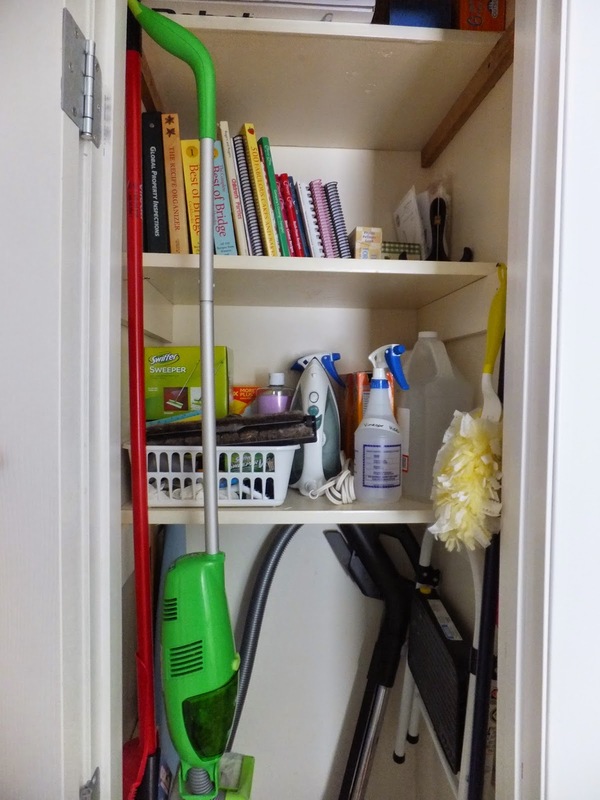 I said goodbye to the steam mop (I like my old sponge mop better), Swiffer sweeper (I have a Swiffer Vac and a broom) and my large reusable lint roller. I plan to part ways with the Swiffer Vac when my new Dyson stick vac arrives. I am so excited! I donated my cleaning caddy, as it took up a lot of space and I never used it! I would just grab whatever I needed out of the closet and the caddy always stayed put! I also donated my scented wax items, as we don't like to use fragrance in our home. I went through my cookbooks. When I was getting married, I mentioned to the odd person that I didn't have many cookbooks. Well, ask and you shall receive! (And receive and receive...) I kept the cookbooks that my husband and I use frequently and parted ways with the ones that we never look at or open. I pared down the "magazine" recipes and photocopies. One day, for minimalism's sake, I plan to write the recipes into the cookbook my Mom made for me. Then I can get rid of the millions of papers I have folded in my recipe box. Yikes! It looks way better (and is much more functional) now! I hope you are all having a fantastic week! Take care!